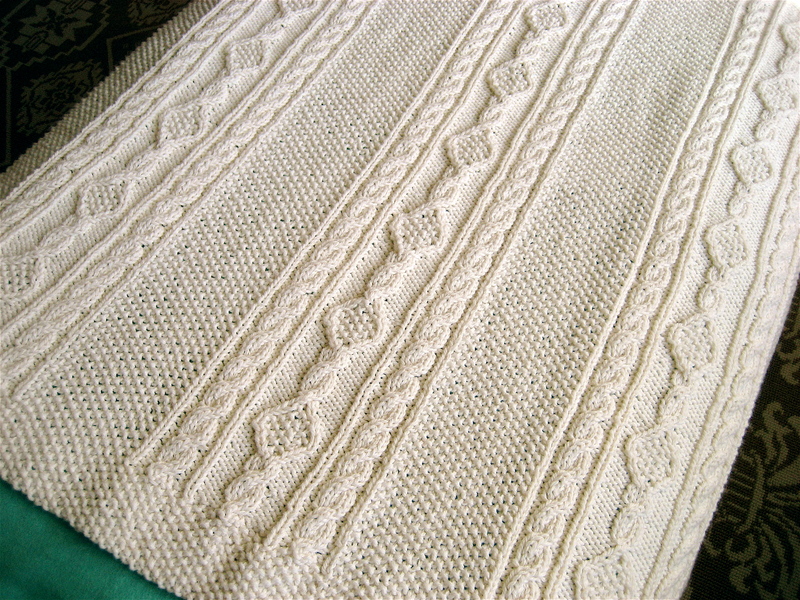 In honor of St. Patrick’s Day, I share this Irish knit baby blanket. The finished blanket measures 26″ x 32″. As I worked on it intermittently, I confess that it took me over a year to complete. Cable work can look a lot harder than it really is. I encourage those of you who can knit and purl to give it a try. Here’s a great video to get you started! beautiful :)….can’t wait to see a lil one wrapped up in that! Where did you get the pattern? I would love to make this for my friend. 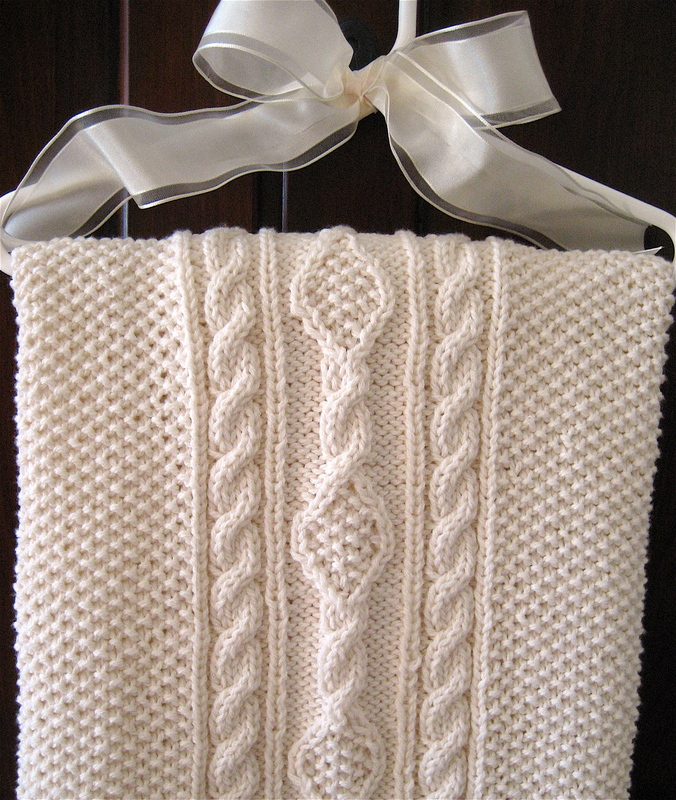 The pattern is called “For a Bonny Babe” and can be found in the book Our Best Knit Baby Afghans by Leisure Arts. I believe it is available from Amazon, and I’ve seen it at JoAnn’s fabric store. It is a beautiful blanket, and I’m sure your friend would just love it! Good luck finding the book! I will be knitting this for a friend to give as a gift to a new relative. How many balls of yarn did you use to make this blanket? The pattern calls for 870 yards of sport weight yarn. The merino-cotton blend that I used was more like a worsted weight, and I used about the same yardage. For my yarn, that was approx. 9 balls. It’s really a lovely little blanket. Happy knitting! I agree it is a beautiful blanket! I knit one for my granddaughter when she was born fours ago. I used 100% merino so it was lovely and soft. Lots of compliments! What a lucky little granddaughter ;-) Was the merino washable? I see I forgot a few words–past my bedtime! Yes it was washable, only way to go with a newborn. Is this pattern available or do I purchase the Leisure Arts Book? To the best of my knowledge, the pattern is only available through the Leisure Arts book which is currently available on Amazon for $10.56. Hope this helps!